The Barracuda Load Balancer ADC Vx is a virtual appliance purpose engineered to maximize the scalability and availability of servers and services operating in virtual environments. This virtual load balancer efficiently distributes traffic among virtual servers using several algorithms. But this is just the start. 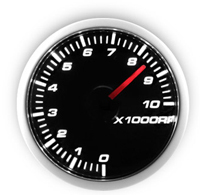 Besides the advanced features for traffic optimization listed below, the Barracuda Load Balancer ADC Vx dashboard displays performance data that ranges from broad snapshots of overall traffic to granular data about the health and status of each virtual service and actual server- visibility essential for effectively managing virtual infrastructures. Of special interest for websites that deliver high-bandwidth services such as streaming media is the unique server-direct-response mode. This mode distributes low-bandwidth requests across servers through the load balancer while high-bandwidth responses go directly from services to clients outside the load balancer. This prevents bottlenecking at the load balancer. Here are some of the other innovative ways the Barracuda Load Balancer ADC Vx optimizes and safeguards virtual infrastructures. 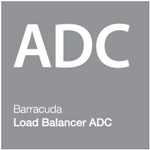 The Barracuda Load Balancer ADC Vx is ideal for optimizing application performance. It offloads compute-intensive SSL transactions from the server, preserving resources for applications. In addition, optimization features such as caching, compression, and TCP pooling enable faster application delivery and ensure scalability. The Barracuda Load Balancer ADC Vx has been the preferred solution for organizations looking to load balance and secure Microsoft applications. Certified configuration and deployment guides ensure organizations can quickly and easily scale Microsoft applications, while also securing them against targeted attacks or unauthorized access. Using health and performance checks, the Barracuda Load Balancer ADC Vx distributes traffic for efficient use of server resources and employs server failover for high availability, thereby optimizing application performance. Global Server Load Balancing allows redundancy across multiple sites enhancing availability, improving client response time, and speeding disaster recovery. Yes. Barracuda Virtual Appliances are specifically designed for ease of deployment in new or existing virtualization environments. The virtual appliances are fully encapsulated with the virtual hardware configuration and the setup process is simple. 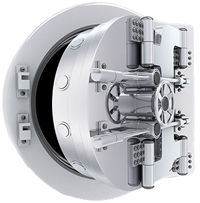 Once the virtual appliance is installed, configuration and administration is through the same intuitive Web based user interface as that on the appliance. Instructions can be found in the online setup guides available as part of the download or under the Documentation section atwww.barracuda.com/virtualization. Download the Barracuda Load Balancer Vx Series Data Sheet (PDF).